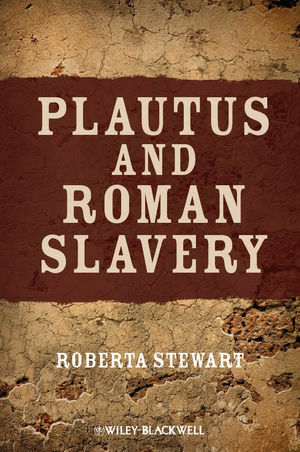 This book studies a crucial phase in the history of Roman slavery, beginning with the transition to chattel slavery in the third century bce and ending with antiquity’s first large-scale slave rebellion in the 130s bce. Slavery is a relationship of power, and to study slavery – and not simply masters or slaves – we need to see the interactions of individuals who speak to each other, a rare kind of evidence from the ancient world. Plautus’ comedies could be our most reliable source for reconstructing the lives of slaves in ancient Rome. By reading literature alongside the historical record, we can conjure a thickly contextualized picture of slavery in the late third and early second centuries bce, the earliest period for which we have such evidence. The book discusses how slaves were captured and sold; their treatment by the master and the community; the growth of the conception of the slave as “other than human,” and as chattel; and the problem of freedom for both slaves and society. Roberta Stewart is Associate Professor of Classics at Dartmouth College. She is the author of Public Office in Early Rome: Ritual Procedure and Political Practice (1998).